Part Number - GSY110. Classic Mini PRE VERTO Clutch Slave Cylinder. Loc: 4P GSY118. For cars with Verto Clutch. Mini Slave cylinder, 100's sold. SLAVE CYLINDER. All Mini's from April 1983 on, Standard, Cooper, and Cooper S. This 7/8" bore. All Mini's 1969 - 1982 Standard, Cooper, and Cooper S. Mini Slave cylinder, 100's sold. SLAVE CYLINDER. This 7/8" bore. AUSTIN MAXI 1500 & 1750 ; YEARS 1972-1981. 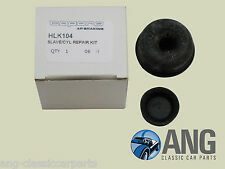 Repair that leaking clutch slave cylinder with this original specification quality part. Butée d'embrayage (mécanique) pour Austin Maestro 2.0 EFI LuK. Part number for reference : GVP1009. 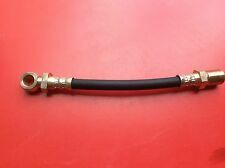 Classic mini VERTO clutch hose, suitable for all minis made from 1982-00. WOLSELEY 1100, 1300 ; YEARS 1962-1973. AUSTIN, MORRIS 1100, 1300, 1300GT ; YEARS 1962-1973. MG 1100, 1300 ; YEARS 1963-1973. WOLSELEY 1100 ; YEARS 1965-1968. RILEY KESTREL 1100 ; YEARS 1962-1969. ( ) - This kit will also fit the later model Austin 1100 from early 1973 onwards provided a Lockheed slave cylinder is fitted with the reference 3232-666C on the cylinder (up to the introduction of the rod change gearbox). Part number for reference : GSY110. Classic mini PRE VERTO clutch slave cylinder, this is fitted to all mini models made from 1959-82. MGA: 1955-1962 (not Twin Cam). Austin Healey Sprite: 1959-1966. MGB: 1962-1980. Here's aClutch Slave Cylinder for the followingAUSTIN / MORRIS / RILEY / VDP / MG / WOLSELEY models -. - (Austin, Morris, Riley, VDP, MG, Wolseley). 1100 & 1300 Range. I can do much more on the phone. A quality Italian made clutch slave cylinder for the Austin Healey Sprite MKI,MKII & MKIII models 1958 to 1966. Part Number - GSY118. 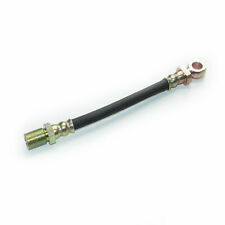 Classic Mini VERTO Clutch Slave Cylinder. OE Number was 13H11. Girling Number was: 3010205W. Kit de réparation 1x pour un cylindre récepteur d'embrayage. 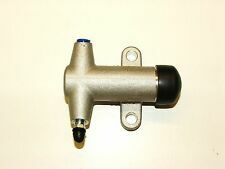 Here's a newClutch Slave Cylinder for the following models fromAustin Healey. AUSTIN HEALEY. Austin Healey. (From 1956- 68). (You may also want a Clutch Hose). I can do much more on the phone. AUSTIN HEALEY SPRITE MkI, II & III ; YEARS 1958-1966. MG MIDGET MkI & II ; YEARS 1961-1966. Austin Morris J4 Van (10/12 cwt). 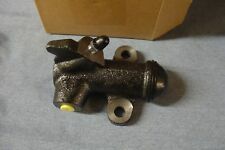 Here's a newClutch Slave Cylinder following models fromAustin / Morris -. AUSTIN / MORRIS. I can do much more on the phone. JUST BELOW THE ITEM PRICE. MINI COOPER "S" AND 1275GT. AUSTIN MORRIS. CLUTCH SLAVE CYLINDER. 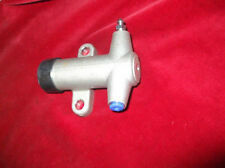 Here's a newClutch Slave Cylinder Assembly for the following models fromAustin / Nash -. AUSTIN / NASH. I can do much more on the phone. JUST BELOW THE ITEM PRICE. A top quality clutch slave cylinder, fits A50 - 55 1956 to 1959, does not fit the MKII. AUSTIN HEALEY 100-6, 3000 BN4-BJ8 ; YEARS 1956-1968. AUSTIN MORRIS. CLUTCH SLAVE CYLINDER SEAL REPAIR KIT. Austin A152, Embrayage Cylindre Récepteur, neuf. Austin A152 from chassis number 13025 onwards. This sale is for a new clutch slave cylinder that fits the following vehicles. HEALEY SPRITE MK 4. CLUTCH SLAVE CYLINDER.